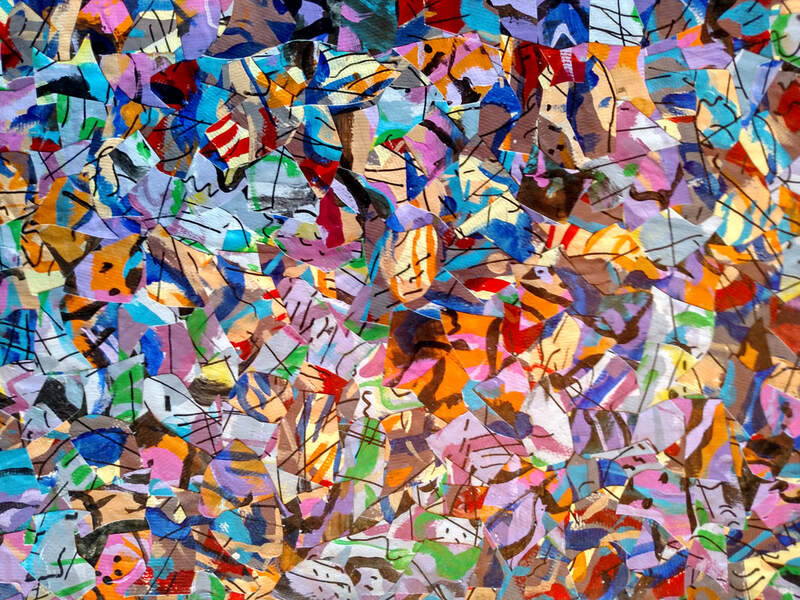 ​to explore and collect the finest 19th-21st century art on Planet Earth. .. Challenge our art restoration and conservation alchemists to breathe new life into your old oil paintings that have experienced the unfortunate wrath of dirt, sun, heat, cold, and ​other natural and unnatural art enemies. Browse our selection of over a thousand custom frame designs that will compliment your art purchase, personal photos, or old attic relic for display in your ​home or office. 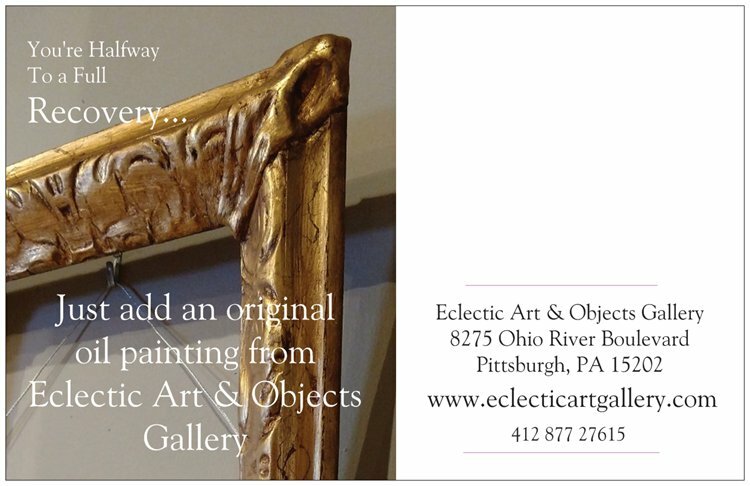 "Traditional Brick & Mortar Fine Art Galleries". 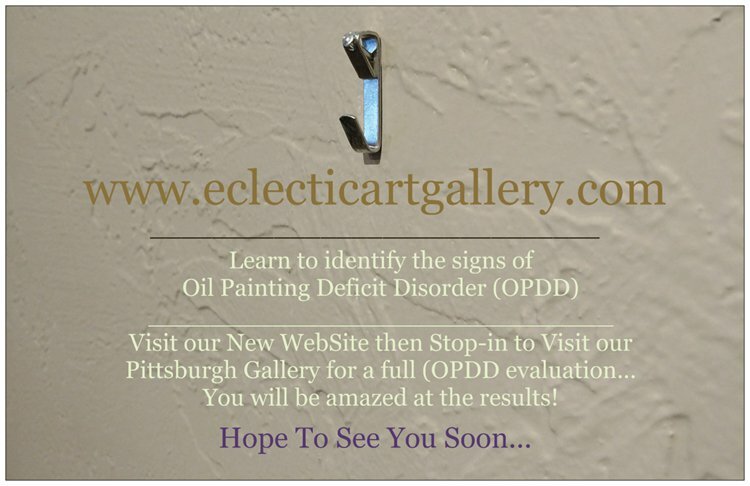 ​We hope that you will stop-in-to-visit us in person. ​Stop in and peruse our "19th Century Collection" of American and European paintings (1830 through 1930). 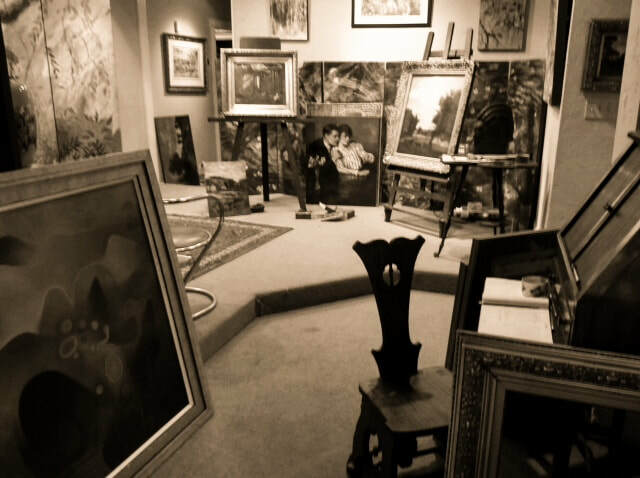 This unique collection was curated over a twenty year period by the owners Bob & Sheila Keller who often travel to Europe to meet with local gallery owners, collectors, pickers, auction houses, and private estate brokers to gain "First to American Art Market" status for these works. Our Mid-Century through 21st Century Art and Objet d' Arte are curated through a multiplicity of options including; Artist direct acquisition through marketing agreements with our "Featured Artists" who comprise truly the best of the best from America and Europe...artists have included: John Modesitt, Henri LePetit, Katherine Brown Galbraith, Peter Keil, Joanna Tlok, Anthony Trasport, Mike Welton, Pittsburgh's own Mary Lois Verrilla, and others. Oil on Canvas ​30" X 24"
​The expertise of Eclectic Art & Objects Gallery's Restoration/Conservation Arts Studio is put to practice the moment we are presented with a painting in need of repair...The first step is to identify the cause of the damage and through careful analysis, we determine the proper treatment and specific materials required to bring the painting back to its original line, color, texture, and brush. The difference between Before and After cleaning will stun you! Our goal is to restore each painting back to its intended original condition. to this end we recreate the original palette of colors that the artist used when executing the original work. We also employ our unique restoration techniques to repair holes, tears, divots, and other canvas/support imperfections that are virtually impossible to detect once the restoration is completed. Through a set of comprehensive restoration/conservation techniques, we strive to assure that whenever applicable, we use techniques that assure that any in-painting, protective varnishes, and coatings, etc. can be reversed in the future if necessary. ​NOTE: 30% - 50% of the restoration projects that we undertake are related to previous failed restoration results by inexperienced or careless conservators! ​Some frame repair and restoration services include: repair of gilding, paint, stain, or other finishes, fill cracks, dings, scratches, and other damage to the frame surface. We also replace and/or re-sculpt plaster or wood ornamentation that may be cracked, broken, or missing,...replace frame hanging hardware, replace dust covers including; wood, paper, or other substrates/materials. ​WE ARE STILL UNDER CONSTRUCTION AND WILL STRIVE FOR PERFECTION. IT HELPS TO GET THE WORD OUT TO OTHERS!